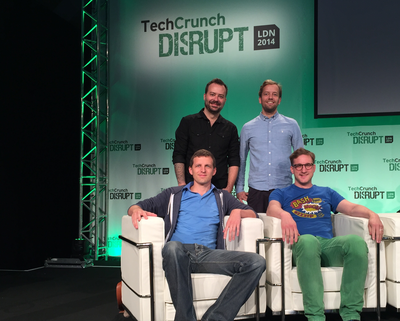 Fintech startup Sign2Pay officially launched its mobile payment method at this week’s TechCrunch Disrupt in London. This new payment method allows consumers to pay for online orders by simply signing on the screen of their smartphone. Sign2Pay, a Belgium-Dutch fintech startup, officially launched its mobile payment method at this week’s TechCrunch Disrupt in London. Selected as one of 15 companies competing for a chance to win £30,000 and the coveted Disrupt Cup, Sign2Pay’s new payment method allows consumers to pay for online orders by simply signing on the screen of their smartphone. Using any touch enabled mobile device, customers can pay for online orders using their bank account number and their personal signature. The amount to be paid is directly debited from the consumer’s bank account while the merchant is protected against fraudulent transactions. At launch Sign2Pay can process payments from over 3,700 European banks. “Online debit payments have been plagued by inconvenient and cumbersome authentication methods such as challenge response systems and physical card readers. Allowing users to use their personal signature not only increases trust and speed, it also increases sales conversion rates for merchants”, says Nicolas Mertens, CEO and co-founder of Sign2Pay. Sign2Pay’s digital signature processing platform, which analyses over a thousand datapoints in a single signature, offers a security level on par with biometric authentication and far outweighs the security level of traditional passwords and PIN-codes. The technology does not require additional hardware such as card readers, ﬁnger print readers or other biometric authentication devices. Starting today, merchants can register on the Sign2Pay website and create an account to start accepting mobile debit payments. Thanks to built-in integration with most online publishing and e-commerce platforms, merchants will see increased sales conversion while enjoying better fraud protection. Sign2Pay is a Belgium/Dutch fintech startup that developed a proprietary signature recognition algorithm. This algorithm is used to authenticate and process mobile e-commerce payments using consumers’ existing bank accounts. Consumers can pay for online orders by simply signing on the screen of their smartphone. TechCrunch Disrupt Europe: London is TechCrunch’s ﬁrst conference in the UK. The format combines top thought-leader discussions with new product and company launches. Morning executive discussions debate technology-driven disruptions in many industries, while the afternoons are reserved for the Startup Battleﬁeld, where some 15 new companies will launch for the ﬁrst time onstage, selected to present from numerous applications received from around the world. The winning company will receive a £30,000 grand prize and the Disrupt Cup at the conclusion of the conference. The conference is October 20-21, 2014 at Old Billingsgate in London. Is the killer biometric tool your signature? Sign2Pay tackles m-commerce conversion rates . Sign2Pay provides a secure and convenient mobile payment method that allows consumers to use their touchscreen device to pay with their bank account number and personal signature. By removing the usual obstacles to paying online, visitors are more likely to complete their purchases, turning more prospects into customers. Analysing hundreds of data points in a single signature, Sign2Pay provides the same level of security as fingerprint or facial recognition. Our technology works across all major platforms, covers over 3 700 banks across 18 European countries and supports all touch enabled devices.